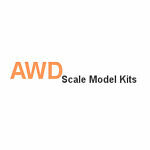 Welcome to AWD Scale Model Kits. Allow me to introduce myself, my name is Scott Ford. I have been in business for many years and have come to the conclusion that in all my years of experience "customer service" is paramount! "Quality and Service is remembered long after the price is forgotten.